The streaming box landscape has changed a lot in the past couple of weeks. 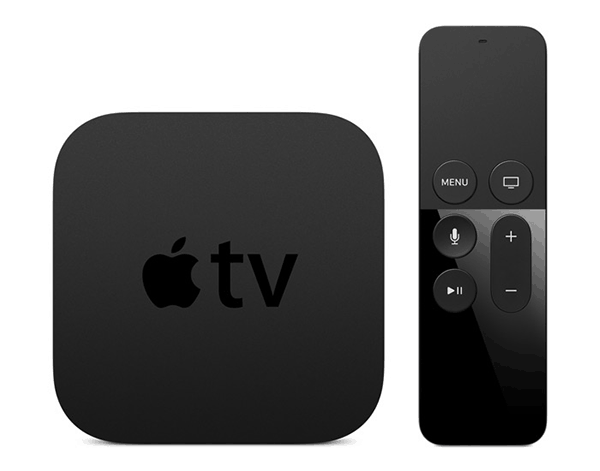 First, there was Apple's huge announcement: as expected, they're offering a new version of the Apple TV. Then Amazon made a similar announcement, revealing the latest version of their popular Fire TV. Both of the new products offer new functionality and look pretty exciting. But there are some key differences between the two, which is why we're putting them head to head in some key categories. This isn't about declaring an overall winner – instead, we're trying to illustrate some of the important differences between the two products, so that you can decide which one is right for you. 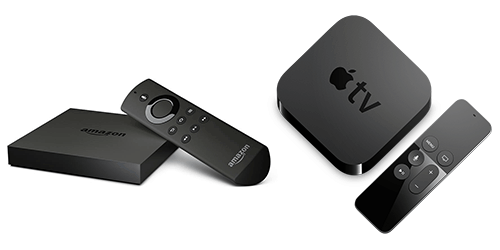 The Amazon Fire TV is 4K Ultra-HD video capable, but the Apple TV will not be. Apple thinks it will still be a while before 4K becomes more mainstream – as it stands, most users don't have fast enough internet to use it and most content providers don't want to invest in it. That said, it's only a matter of time before 4K becomes the industry standard. The Apple TV offers two different storage options, 32 GB and 64 GB, at different price points. The Fire TV only comes with 8 GB, but you can add more by getting a micro SD card – sold separately, of course. Both TV boxes come with small black remote controls. Both have voice control (more on that in a moment). The Apple TV remote is connected via bluetooth, while the Fire TV remote is connected via wifi. 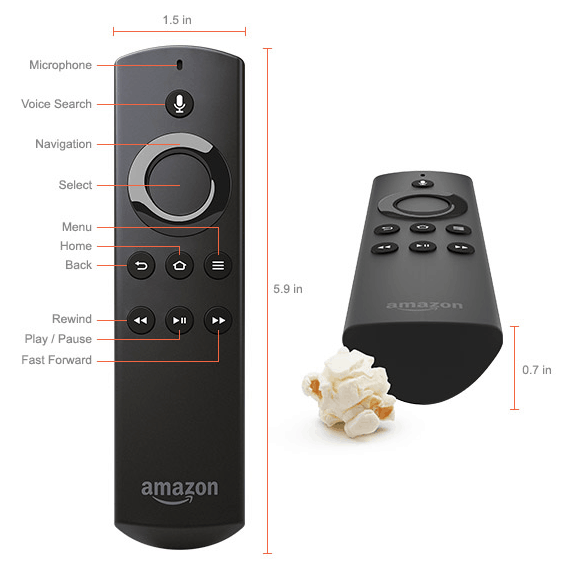 The Apple remote has a trackpad for touch control, but the Fire TV remote only has traditional buttons. Amazon Fire TV also has its own game controller, which will now use wifi direct to save on battery life. The Apple TV is expected to support third-party game controllers. Alexa (Fire TV) and Siri (Apple, of course) are both strong voice searching options. Siri's voice control is more robust, allowing for vague searches and some helpful little tricks (asking “what did he say?” will rewind your stream a few seconds). Both voice controls will now search third-party apps, which is a huge step forward. Both will also answer some questions (“How are the Mets doing?” “Who stars in this show?”) at the bottom of your screen without interrupting your stream. Apple demonstrated this with Siri during their announcement. Details on how Alexa will do this are a bit vaguer. Amazon once had a real edge here, as the old Apple TV didn't have some of the key apps (FOX Sports GO, Spotify, Twitch, and Sling TV, to name a few) that Fire TV had. Now that the new Apple TV is coming out, however, that's going to change. Apple already has some of these key apps up and running, and the code is available to developers. Both systems should have a pretty robust selection of apps and games. Fire TV's integration with Amazon Prime Instant Video is a plus, and they have a lead on apps for now, but expect this category to basically be a wash for now. We mentioned earlier that this isn't a contest – it's about finding the right streaming box for your particular needs. Overall, you'll have to pay more for Apple TV (though it's a bit closer than it seems if you factor in the micro SD card to even up the storage mismatch). What you'll get for your money is beefier voice control on a cooler remote, plus Apple's familiar design and OS aesthetics. Fire TV, meanwhile, remains your only 4K video option and appears for now to be the more gamer-friendly option of the two.